IF YOU ARE AN INDEPENDENT MUSIC ARTISTS, DIRECTOR OR PRODUCER IN MIAMI, NEW YORK OR LOS ANGELES LOOKING FOR MUSIC VIDEO PRODUCTION, I CAN HELP YOU. WHEN YOU HIRE US TO WORK ON YOUR MUSIC VIDEO PRODUCTION, YOU GET A TEAM OF ARTISTS DEDICATED TO THEIR CRAFT. WE ARE ALL OWNER OPERATOR OF OUR CAMERA, GRIP & LIGHT EQUIPMENT, SO THERE IS NEVER A RENTAL FEE IN OUR PRICE OR “PRODUCING FEES” HIDDEN IN THE BUDGET TO HIRE OUTSIDE CREW. Juna N Joey perform “Somebody Like You” by Keith Urban. 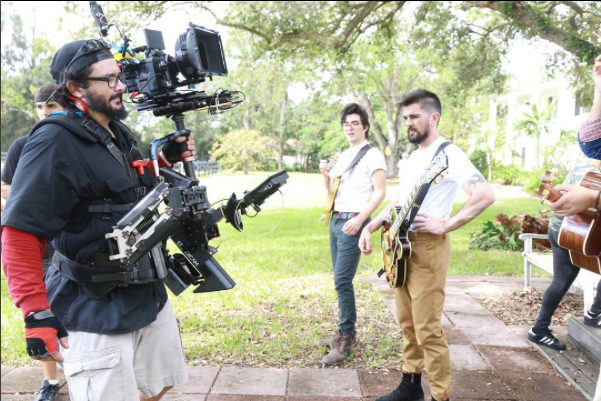 Country Music Video Production in Jupiter, Florida. Filmed in and around Jupiter, Florida. Letra y música: Martín Galeas, Esteban Acosta & Cristopher Escaleras Productor Musical: Esteban Acosta Ingeniero de Mezcla: Andrés Chano Ingeniero de Máster: Juan Pablo Rivas Productor Video: Alejandro Fuenmayor Productora Audiovisual: 4 Artists by Artists. This video was produced in West Palm Beach, Florida. It was Great to team up again with director Lui from @luivilleandcompany and Cinematographer Lucho on this video. 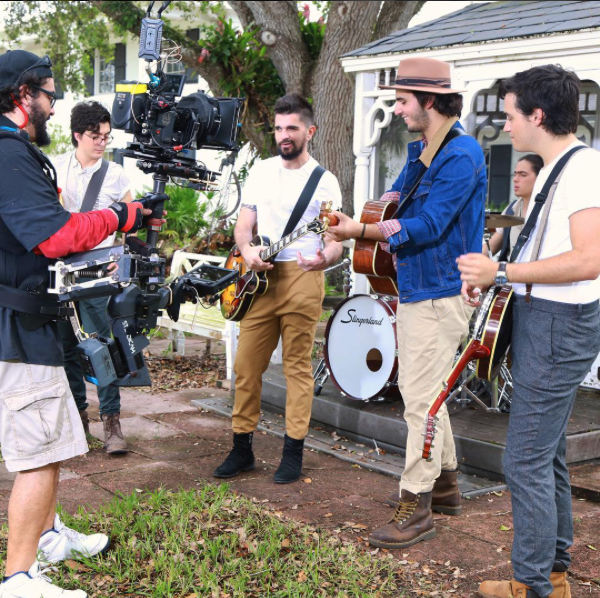 We had none other than El Maestro @JUANES as a featured artist on MORAT’s new track “Besos En Guerra”. Honestly, when I got the call and heard Juanes was involve, I was in! not realizing the job called for a Movi or Ronin operator in Miami. I don’t like those gymbals, I simply don’t like the feel of them and preferred to bid for the job with a classic MASTER SERIES STEADICAM and a Letus Helix Jr (w/ encoded motors) in combination with a CineGears Wireless Follow focus. Flying a Red Epic W 8K is not particular challenging but when the idea of using Cooke S4 was floating around, I became confident the job will go to a Steadicam operator and not a kid with a Gymbal. Our shooting day turned into a rainy windy day just a few hrs into the job. without a Beltz Wave or an AR or Trinity or even a Gyro, operating in Miami’s wind is debilitating. Fortunately, I had Gaffer Rafa Puentes and his crew holding 4×4 nets around me to at least give me a fighting chance. 1 AC Max did an outstanding job as usual. We also had a CamTram Dolly/Slider that Cinematographer Lucho and Director Lui became fond of during the bands wide shots. all in all, I enjoyed sweating through a few shirts and watching this guys perform and sign their hearts out. When you see the video, also appreciate the fantastic Cinematography that the Spaniard crew did. for the story scenes on the video. Music Video Production by 4ArtistsByArtists, LLC. 4ArtistsByArtists Music Video Director of Photography Alejandro E. Fuenmayor shoots New Aritst Chadwick with Sony A7s using the Sony G 28-135 F4 lens on a Letus Helix Jr gymbal. also use was the Letus Helix Jr. The Official Full Length Video of Chadwick’s Debut single “He Chose Me”. 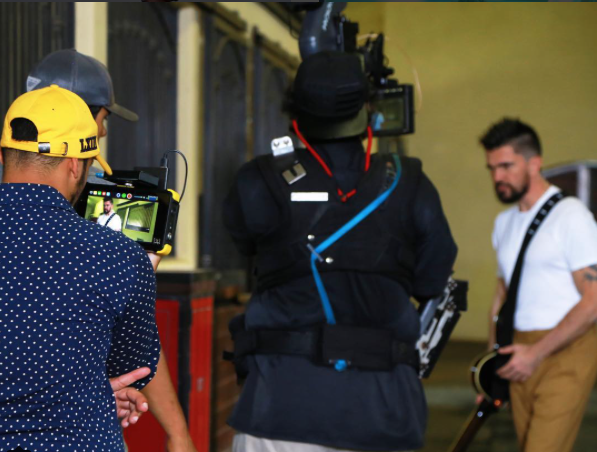 check out the production behind the scenes video here!! !